Home Magazine Expert Advice [Sponsored] Should You Be Using Third-Party Service Providers For Your Clinics? Does your biomed department have too many resources? Are your technicians spending too much time twiddling their thumbs? I didn’t think so. It seems like most biomed departments we speak with struggle to pair their capacity to expectations. In many cases, a biomed department is similar to the post office: the equipment, like the mail, keeps coming. When hospitals add clinics and offices to their footprint to better serve their community, the biomed shop usually is asked to shoulder the additional work load. 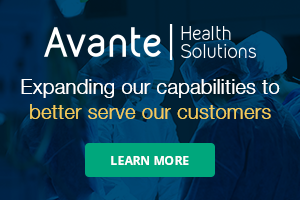 Asset management is a constant struggle for large, growing networks of health care organizations that have multiple locations and hundreds, if not thousands, of pieces of equipment. Annual inspections that occur at different times of the year are difficult to track and normally tasked to a staff member, or department, with many other responsibilities. The last several years have seen health care groups get bigger with hospitals buying private practices, the rise of surgery centers and growth in urgent care facilities. This consolidation shows no signs of slowing. As these alternate care facilities continue to be drawn into the hospital’s orbit, equipment maintenance, inventory and compliance are often orphaned as the new site is onboarded. Hospital biomed departments charged with supporting these new locations are, many times, overworked and understaffed. Layering on more equipment to service can become burdensome, especially in remote locations. This tends to result in a lack of presence and attention at the new site, since offsite locations are not as regulated and inspected as the hospital. So the hospital, understandably, takes priority. Making sure the hospital compliance program doesn’t suffer while also supporting these outside clinics, the biomed department’s ability to keep all medical equipment in compliance is often stretched. Tasked with supporting these outside clinics, while making sure the hospital compliance program doesn’t suffer, often stretches the biomed department’s ability to keep all medical equipment in compliance. The options are few, but include adding more headcount to the department or outsourcing the new, offsite work to a capable third party. Adding unbudgeted head count is usually a lengthy process that ends in an initial denial, being postponed to the next budget year. An Asset Management Program – When choosing a company to assist in managing your equipment, make sure they have a program that can be easily accessed online, with tools to compile, download and share your data. After all, it is your data. Adequate insurance that is specific to the biomedical industry – Most smaller companies rarely carry proper insurance, but instead have only a general liability policy. Ask for a copy when vetting a potential partner. Multiple technicians – Do they have the resources to tackle large projects or respond quickly to requests? OEM partnerships – Factory training and ongoing field service partnerships are a good way to vet out the character, reliability and capability of an independent service organization (ISO). These are only a few important aspects of a potential partner you should explore, but considering a third-party service provider is a worthy exercise as you search for solutions to support your sites outside the hospital. 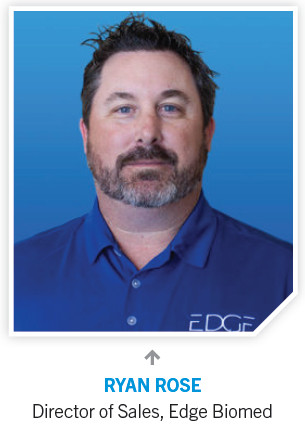 Ryan Rose is the director of sales at Edge Biomed. He has 15 years of experience in sales and sales leadership. He has been in the medical equipment field, both in hospital and out of hospital, for the past six years. Focusing on the customer has contributed to his success at every level.